Today is the second last day you can still purchase a Pandigital Novel from Bed, Bath and Beyond and still be eligible for the $20 mail-in-rebate. If you plan on getting an Android tablet as a reading device, this can be had for as low as $100US before taxes (your mileage may vary). Acquire an additional 20% off coupon from the BB&B mailing list. If you don't have one, you can do this later by taking your receipt back to the store. They also accept expired coupons. 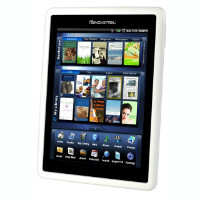 So find your closest store with the BB&B store locator and you can get your own Pandigital Novel. If you don't want to just use the device as an ebook reader, the Pandigital Novel is hackable and has been rooted. There are hacks to make it to run the Android Market, the Amazon Kindle app, and perform other functions like a full Android tablet. While some users have been reporting weak wifi signal strength, this is a steal to be had at $100US if you can get your hands on one, especially if you are into making the most out of your device. I have the Augen Gentouch, I am happy with it but I was wondering should I return it for the PDN. Will I get a better device or are they about the same. I have Augen Gentouch too! You have 90 days-policy to return the Gentouch. I don't know what the return policy with Bed Bath and Beyond is? So I would check with them first. I would buy and test it and see if it's better? It this deal was in Canada, I would have been extremely tempted to get my hands on one. Immediately. It's not bad for what it is, especially if you are into some firmware modding. 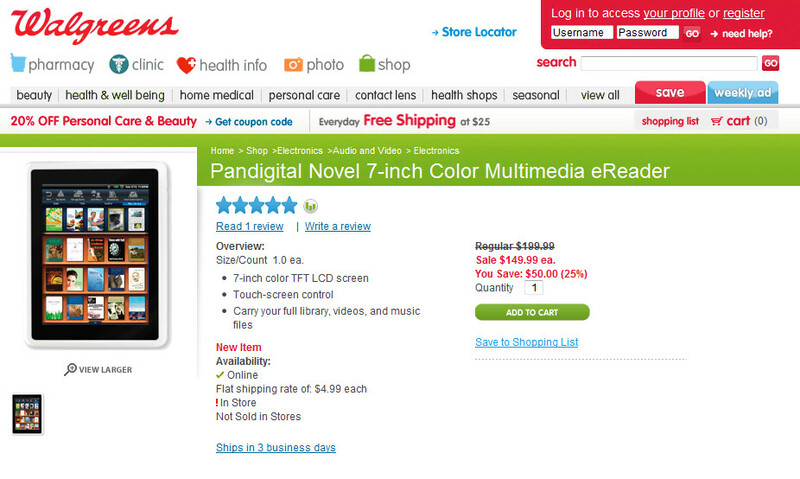 The Pandigital Novel has a standard 3.5mm headphone jack, not 2.5mm as stated & present on the Gentouch.